Did You Know That Tap Water is Full of Unregulated Chemicals? 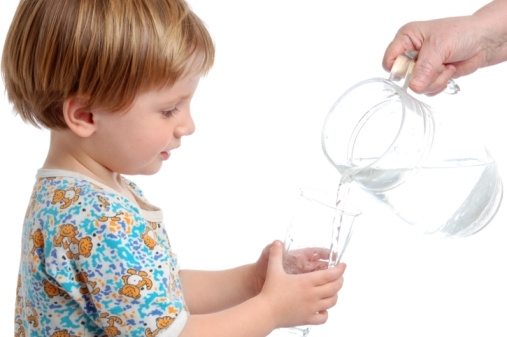 Home » Health News » Did You Know That Tap Water is Full of Unregulated Chemicals? Most of us already know that our tap water is filled with chemicals! And many of us always filter it before drinking it. I have for decades. Federal scientists analyzed the water in 25 U.S. water facilities. In nine of the facilities, they found traces of 21 chemicals in the water. Of those 21 there were 18 unregulated chemicals which included solvents, herbicides, caffeine, metal, and antidepressants in the water according to Scientific American. The 21 contaminants detected were found to be mostly in low concentrations in treated drinking water from at least nine of the utilities. 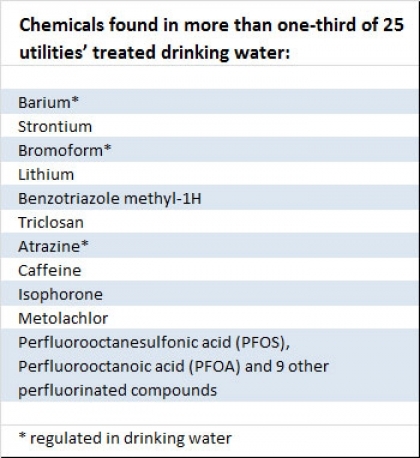 Eighteen of the chemicals are not regulated under the federal Safe Drinking Water Act thus utilities do not have to meet any limit or even monitor for them. “The good news is the concentrations are generally pretty low, there’s still the unknown. Are there long-term consequences of low-level exposure to these chemicals?” said Dana Kolpin, research hydrologist with the USGS who participated in the study. There is little known about the effect on human health for many of the contaminants, in low doses. But one contaminant, perfluorinated compounds (are used in food packaging to make an object oil, stain and water resistant) known as PFOA have been linked to a variety of health problems. Perfluorinated compound linked to cancers, colitis, thyroid disease. PFOS, another form of the perfluorinated compound was used in Scotchgard until 3M phased it out in 2002. It has been linked to attention disorders in children and thyroid disease in men. When they attempted to remove the perfluorinated compounds treatment techniques are largely unsuccessful. Only one plant was successful at removing them, and it used activated carbon treatment. “Chlorination and other treatments technologies will remove some contaminants but will react with others. Some compounds may appear to be removed but may be transformed to a chemical we know even less about.” said Laurel Schaider, research associate, Harvard School of Public Health. Do you want to be filling your body with these chemicals? I know that it was making me ill a long time ago and have always drank filtered water. Here is the water filter I am using and very happy with it. The only way to remove fluoride is to use a reverse osmosis system and some are better than others. When I did my research this is the one I decided on. “Activated carbon, ozone, and ultraviolet treatments are generally better at removal than traditional chlorine treatment, but they are expensive. People resent having to pay anything for water. There’s the thought that there’s a God-given right to have as much as we want but, if you want the cleanest water, these techniques take money.” says EPA research chemist Susan Glassmeyer. 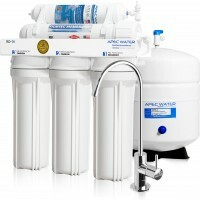 Get an APEC Water System 5-Stage Reverse Osmosis Drinking Water Filter System. If you have a water cooler while you are cleaning your home, like washing carpets, cleaning vents, and emptying washer and dryer pumps. Don’t forget to clean the water cooler too, learn How to Clean a Water Cooler. It pays to be extra careful. Water is important to life but we cannot just drink any kind of water. We have to be certain that the water we drink is free from pollution and water contaminants. It is surely more expensive than just drinking anything from the tap but getting sick would be more expensive. I have installed water filters at home just to make sure me and my family have clean water to drink.